When Pixar’s long-awaited Toy Story 3 opened in cinemas around the land in July, moviegoers were reintroduced to a phenomenon that has occurred in screenings of every one of the company’s films. From the glitziest multiplex to the most flea-ridden picture-house, the scene was largely the same. After what seemed like a lifetime, the half-dark of the auditorium succumbed to shadow, and the wild packs of children roaming the aisles were finally corralled into their seats by increasingly-flustered parents. Eleven years worth of expectation conjured a collective bated breath from the audience, which was in turn slowly punctured by scattered murmurings of confusion. Rather than the continued adventures of everyone’s favourite sentient playthings, thrown up on the screen was the tale of a pair of comically rotund figures, each of their two-dimensional, hand-drawn bodies acting like a window into a fantastical 3D world – one composed of eternal sunlight, the other of perpetual darkness. Or, to be more precise, Day & Night – the latest in a long line of Pixar-crafted short films. Although Pixar’s early shorts were ostensibly advertisements, the team never lost sight of their aim to emotionally engage. While the rest of the auditorium was gasping at every new advance – the sight of a crystal ball passing over a chessboard almost brought the house down – Pixar’s small team, while recognising the difficulty in the craft, were unenthused. ‘There was no story, no characters; nothing to engage with at all,’ sighs Pixar co-founder Loren Carpenter. ‘I was sitting there going “what am I missing here?”’ laughs Lasseter. 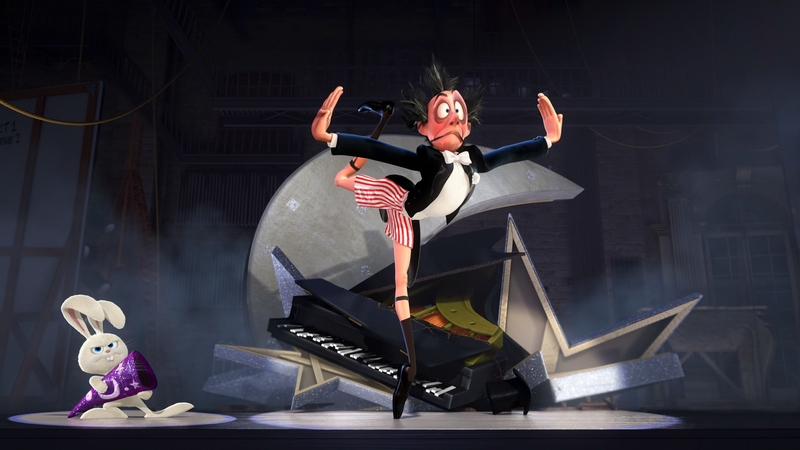 But, that’s not to say Pixar ignored the technical aspects of their chosen art. On the contrary, the need to create the tools to tell their stories seemed to drive technological advance. Technical director Bill Reeves’ groundbreaking particle system was created to conjure believable foliage and sunlight in André’s forest – ‘It was beautiful; it was like pointillism,’ says Lasseter – while Pixar president Ed Catmull’s work on creating a flexible 3D shape was prompted by the need for André’s midriff to bend. From their very inception, technological advances and storytelling experimentation were the core tenets of Pixar’s shorts. If André proved the viability of the medium, 1986’s Luxo Jr. – the first of the company’s nine Oscar nominated shorts – showed its potential. Conceived as a calling card for the company – ‘the idea was “Let’s do something that really says who we are,’” says Lasseter – the barely-two-minutes-long short starred two anthropomorphic lamps, one large and one small, and followed the ‘younger’ lamp at play with a rubber ball. Although the piece was far more technically impressive than André, featuring fluid animation and groundbreaking shadowing techniques, it was Luxo’s characterisation that garnered the greatest kudos at that year’s SIGGRAPH. Despite featuring only a rubber ball, a stationary camera, and two nondescript lamps, Luxo showcased everything Pixar would eventually become known for – memorable characters, rib-tickling humour, and technical brilliance. 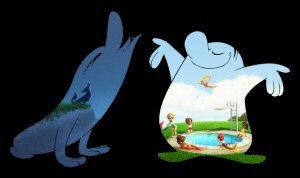 Lasseter realised Pixar had achieved their goal of engaging an audience emotionally, rather than simply impressing with their technical expertise, when Jim Blinn – NASA scientist and ‘One of the giants in the computer graphics research world’ – didn’t ask him about the revolutionary shadowing in the short, but whether the parent lamp was a mother or a father. ‘I just thought, “We did it,”’ says Lasseter. ‘It’s about the characters.’ So impactful was the short, Luxo Jr. became Pixar’s official mascot, replacing the ‘I’ in the company logo. 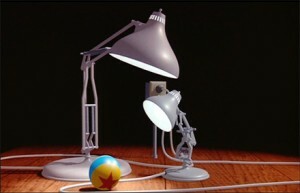 According to technical director Eben Ostby, Luxo was the moment Pixar realised their shorts were a legitimate art form. ‘You realise it’s no longer a test if it’s touching you in some way,’ he says. Pixar continued to meld technical advance and storytelling experimentation in 1987’s Red’s Dream – a noir-ish tale of a neglected unicycle with dreams of grandeur – which featured a sophisticated method of rain simulation. While Luxo Jr. introduced the emphasis on relationships and the classical cartoon slapstick that would become the defining characteristics of Pixar’s animation, Red’s Dream was the first showing of the darker nature that pervades Pixar’s features. From Finding Nemo’s Bambi-esque opening to the apocalyptic final third of this year’s Toy Story 3, Pixar’s work stands out from its rivals partly due to the company’s willingness to deal with issues – death, broken dreams, and abandonment, to name a few – that other animation teams avoid. 1988’s wildly ambitious Tin Toy again saw Pixar striving to innovate, this time in creating the world’s first computer generated human – a baby who chases down the eponymous plaything like some sort of diaper-wearing behemoth. 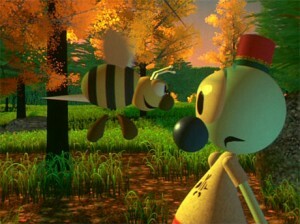 Although the drooling antagonist, with its stunted animation and strange proportions, looks almost alien today, the short retains the humour and characterisation of Luxo Jr., with Lasseter managing to draw convincing emotions from the titular protagonist, whose only visibly human attributes are eyes and a mouth. The short went on to be the first Pixar production to win an Academy Award, but it also played an arguably more influential role. 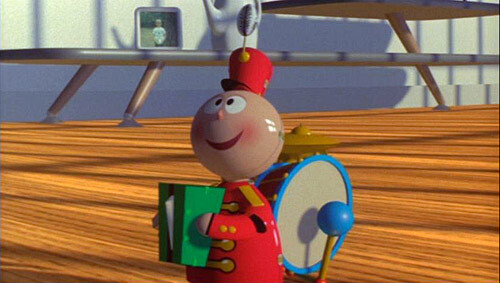 ‘The most important thing that Tin Toy did was plant in our heads the idea of toys being alive,’ says Lasseter, ‘and out of that grew Toy Story.’ Disney, keen to expand into the fledgling computer-graphics genre, contracted Pixar in early 1990 to produce a feature based on the Tin Toy short. But, during development, protagonist Tinny morphed into Woody the cowboy, who was soon joined by a stoic space ranger and a gang of now-iconic playthings. Birthing an entire genre and entering the hearts of a generation of children and adults alike, Pixar’s long-awaited foray into computer-animated features was an unmitigated triumph. 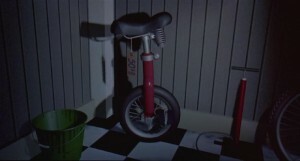 Utilising every lesson the team had learned through the creation of its shorts – the physical humour and characterisation of Luxo Jr., the dark melancholy of Red’s Dream, and, most importantly, the sentient toys of Tin Toy – Toy Story would never have made it to the silver screen were it not for Pixar’s three-minute wonders. 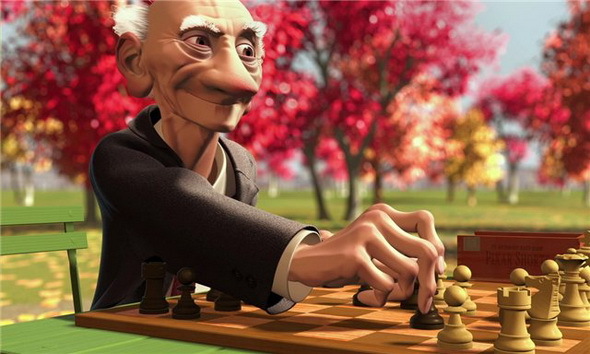 Although, with eleven Oscars and several multi-million dollar blockbusters behind them, Pixar are in a very different situation from back when André and Wally-B was made, they continue to utilise short films the same way they always have – as a means to experiment with new talent, technology, and storytelling techniques. The first post-Toy Story short, 1997’s Oscar-winning Geri’s Game – a hilarious tale of a lonely, possibly schizophrenic, old man’s battle to beat himself at chess – was created partly to practice skin texturing; a technique that would be used in Toy Story 2, where Geri has a small cameo as a toy cleaner. Likewise, the feathering techniques used in 2000’s For the Birds, which follows a group of fowl who bully a Big Bird-esque outsider, would be used to craft the ultra-fluffy fur of John Goodman’s cuddly behemoth Sully in 2001’s Monsters Inc.
That’s not to say the shorts have only been used as technical exercises. 2003’s Boundin’ saw Pixar experiment with creating a musical – in this case a tuneful fable about a proud ram brought down to size when he’s sheared. Similarly, 2006’s alien abduction comedy, Lifted, and 2008’s Presto, which follows a magician’s unsuccessful attempts to perform his act with an unwilling cunicular co-star, were homages to classic science-fiction and the riotous physical comedy of Looney Tunes. With the wider world of film continually emphasising profit and the power of the sequel over experimentation, Pixar’s continued dedication to its short films is to be applauded. Created largely free from commercial concerns, Pixar’s shorts are the essence of the company distilled to its purest form – three to five minutes of flawless animation, hilarious hijinks, complex themes, and memorable characters. As a melding of raw technical and creative energies, John Lasster sees them as a physical representation of the whole Pixar ethos. 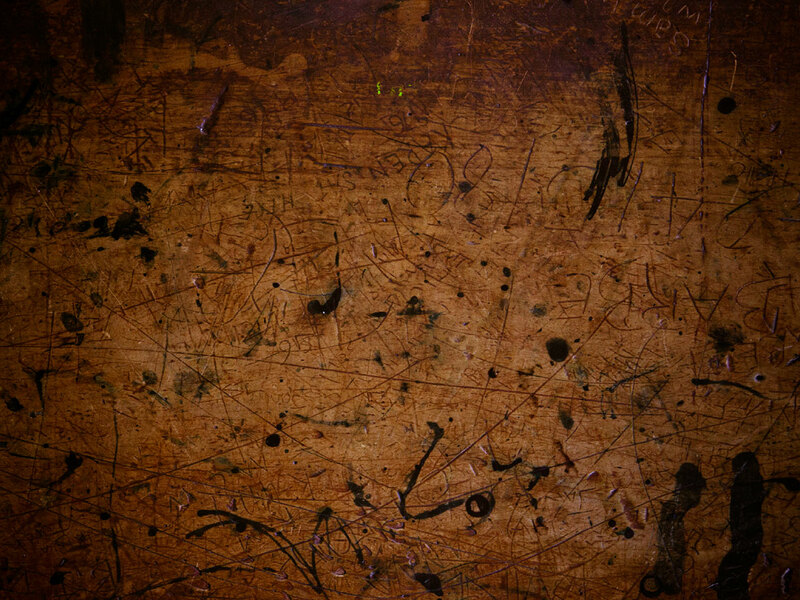 ‘Art challenges technology and technology inspires the art,’ he says. ‘That, in a nutshell, is the way we work at Pixar.’ And who would have it any other way?